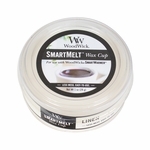 A smart solution to fragrance your home with any WoodWick wax melt or gel. 3 unique ways to quickly fragrance your home! 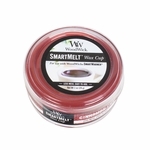 Use the Smart Warmer with the new SmartGel, SmartMelt, or the top-selling WoodWick Wax Melts. 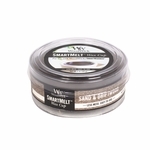 The small, compact electric wamer features the iconic WoodWick hourglass shape with a clean white finish that blends with any home decor. 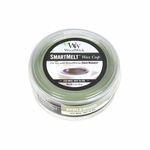 The Warmer is specially designed for use with the SmartGel Spill-Proof Warmer Tins or the SmartMelt Wax Cups, allowing for fragrances to be switched out and stored for later use. 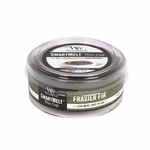 This fragrance truly captures the essence of fresh-cut frasier fir on a crisp winter morning. A sweet treat of yellow cake topped with rich buttercream icing. 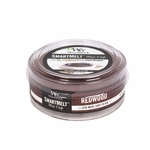 The inviting scent of warm woods brings memories of cool nights around a smoldering fire with your dearest friends. Signature fragrance that balances the natural scents of amber, vetiver and musk to perfectly capture the essence of a cozy evening by a warm fire.